There are more a thousand reasons to rent a tuxedo. Some of the most popular of them are proms, job interviews, and weddings. I bet a wedding was the first that came to your mind, right? Most grooms save on the cost of getting by renting a tuxedo. If you are looking to take that direction on your wedding day, this post is for you. Large markets exist for men’s outdoor wedding attire. The summer proves to be the best time of the year for tuxedo rentals . That also means that you’re going to have a hot wedding on your hands. It’s an oblivious truth the weather dictates our selection. The last thing you want is a sweaty tux. 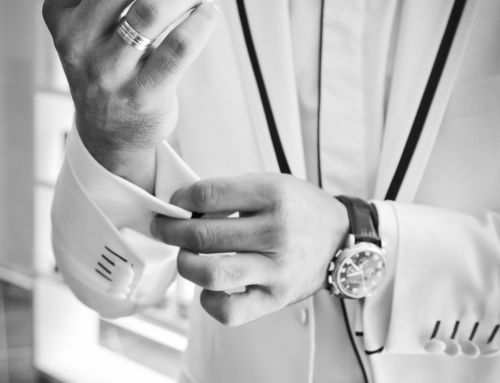 Our professionals have years’ experience in men’s wear. Timing is everything and sets the tone for your wedding event. Whether a cool morning casual reception or ceremony in the afternoon, cotton would be the ideal choice for these situations. A feather-light wool dress pant combined with an Oxford linen dress shirt always impresses but remains classy. It can be a tropical destination like Hawaii or a hot Arizona desert afternoon and a light blazer with fitted trousers will come in handy. It’s no big secret the bride and the groom need to be comfortable while looking their best for a beautiful cool wedding in the morning or a majestic sunset to treasure always. It’s not wise to wear an all-white tux for long periods of hours. Instead, you should go for a darker tuxedo made of light material preferably wool which is the best. You’ll actually begin to enjoy tuxedo rentals shopping in the summer. If you’re thinking of planning a wedding on the beach, you’ll need to learn what’s consider a “beach formal”. This is where things get interesting because you need to be sharp with a tropical theme. Imagine pulling off shorts at your wedding, which is more than possible and while we’re at it throw in some sandals with shades. This, not just an idea but also entails what’s proper for the occasion. I know what you’re thinking no socks, yes! I wouldn’t recommend taking it farther than that, like trying to wear a hat. There’s no need to get greedy, you’re already getting married on the beach with shorts. The most important thing to remember here today is your environment shapes your dress code, not just the occasion. A perfect combination of both things will lead to a wonderful day. You have to become your destination and there’s a tuxedo for you to do that. The beach wedding allows you to get away with the shorts, but if the occasion calls for a suit and black tie , then call your local tuxedo rentals professional and ask for advice. Primarily that you wear the right colors and materials to feel comfortable and look your best. All of our customers qualify for tuxedo rentals extensions so don’t worry if you manage to stay on vacation longer, the customer is giving two extra shirts in the tux travel bags for those inevitable “just in case” moments. Here’s where you can find all of our locations in Arizona. There are locations in Tempe, Peoria, and Gilbert and all Metro Phoenix. Let’s not forget the Men’s Wearhouse. Where all your summer wedding men’s wear needs can be met.